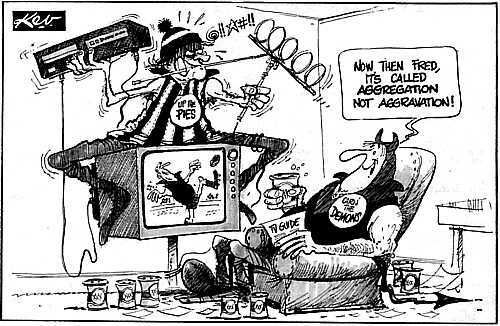 The Government’s plan for aggregation of regional television markets enabled viewers in the more populated regional areas of New South Wales (including ACT), Queensland and Victoria to have the same level of choice of commercial television as their major city cousins. Once these states were completed the next stage was to introduce the scheme to Tasmania, the ‘Apple Isle’. However, Tasmania’s population of 450,000 and having only two commercial TV operators, one based in Hobart and the other in Launceston, went against the traditional aggregation model of three commercial operators and a population of around a million. The alternative was to aggregate the two local markets into one statewide market of just the two competing operators. 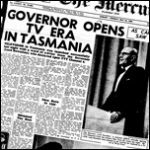 The implementation of aggregation in Tasmania started on Saturday, 30 April 1994 — with Hobart-based Tas TV (now part of the WIN network) expanding into the northern part of the state, and Launceston-based Southern Cross Network expanding south. Tas TV, like its mainland counterpart Vic TV in Victoria, was aligned to the Nine Network for program supply. 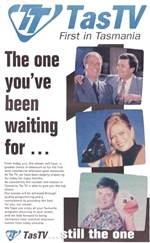 The Southern Cross Network also followed suit with its Victorian counterpart and affiliated with the Ten Network but in a rare move also entered into an affiliation with the Seven Network — meaning that Tasmanian viewers would continue to have access to programs from all three commercial networks. 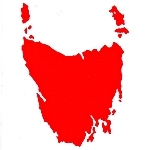 The aggregation of the Tasmanian markets also included the statewide rollout of SBS, up until then only available in Hobart. 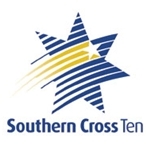 Having the combined clout of programming from two networks — Seven and Ten — eventually led to Southern Cross Network (now Southern Cross Television) gaining dominance across the Tasmanian market, a situation that continues today. The advent of digital television in the early 2000s then led to the next development — enabling a third commercial network into markets served by only two commercial operators. Although Tasmania was still well short of the one million benchmark for a third operator, changes to the Broadcasting Services Act enabled the licencing of a third commercial station that could be owned by either one or both of the existing local broadcasters. Tasmanian Digital Television (TDT) commenced transmission in Hobart on New Year’s Day, 2004, as a joint venture between both WIN and Southern Cross. The new station, broadcasting exclusively in digital, was primarily an outlet for Network Ten programs, though some Ten titles would continue to be seen on Southern Cross pending the statewide rollout of TDT. 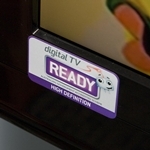 With TDT available only on digital the Tasmanian market went on to have a faster household conversion rate to digital TV when compared to other markets. 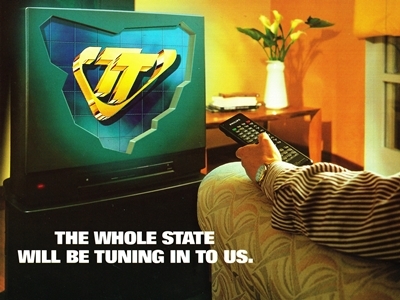 Eventually all Network Ten programs were phased out from Southern Cross Television, although some of Ten’s AFL commitments and coverage of the 2010 Commonwealth Games were still broadcast on Southern Cross to make the telecasts accessible to households or towns that had still yet to gain access to the TDT signal. 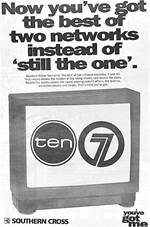 The advent of TDT led to similar digital-only Network Ten outlets being launched in Darwin, Mildura, regional Western Australia and remote central and eastern Australia. Southern Cross, WIN and TDT now also provide local broadcast of their mainland networks’ associated secondary channels — and with ABC and SBS all analogue signals were switched off in April last year.